700 Amp Hour Lithium Iron Phosphate (LiFePO4) battery from Thunder Sky Winston Battery Limited from China.the voltage of the cell is 3.2volt and the capacity is 700 Amp hours. its widely usedin Energy Storage System, EV, UPS and so on. Our Lithium Ion Battery have a excellent performance, high stability and long life time. 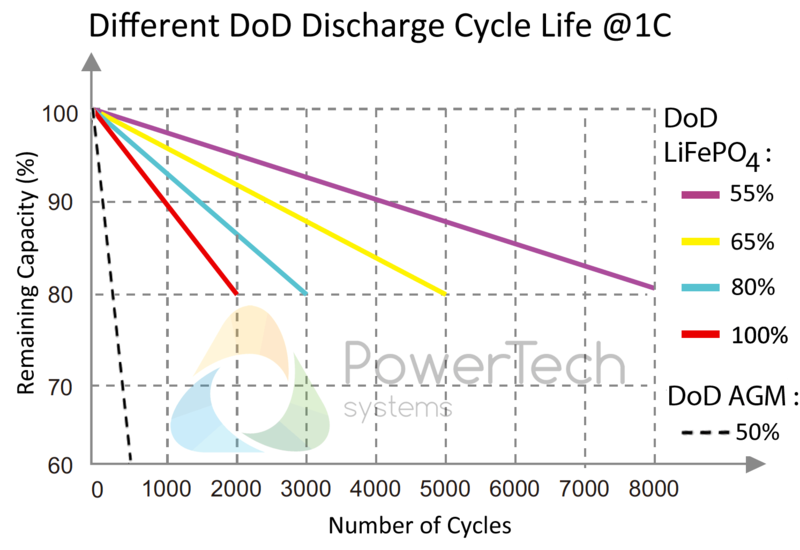 the cycle life of WB-LYP700AHA,Thunder Sky Winston Battery is 3000 times at 80% DOD. here we provide full power solution for your applications by high power Winston Battery. 700Ah LiFePO4 Battery in stock for sales,just feel free to contact us. Lithium ion batteries on the other hand are a much newer invention, and have only been around in a commercially viable form since the 1980′s. But in 1996 a new formula for mixing lithium ion batteries was developed – Lithium Iron Phosphate. 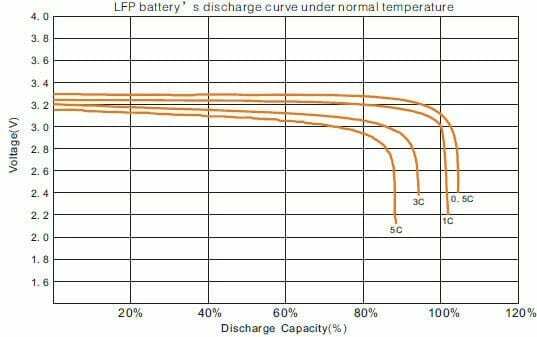 Known as LiFePO4 or LFP, these batteries have a slightly lower energy density but are intrinsically non-combustable, and thus vastly safer than Lithium-Cobalt-Oxide. And once you consider the advantages, Lithium-Ion batteries becomes exceedingly tempting. Another huge advantage of lithium batteries is that Peukert’s losses are essentially non-existant. This means that Lithium-Ion batteries can deliver their full rated capacity, even at high currents. Whereas lead acid can see as much as a 40% loss of capacity at high loads. In practice, this means that Lithium-Ion battery banks are very well suited to powering high current loads like an air conditioner, a microwave or an induction cooktop. 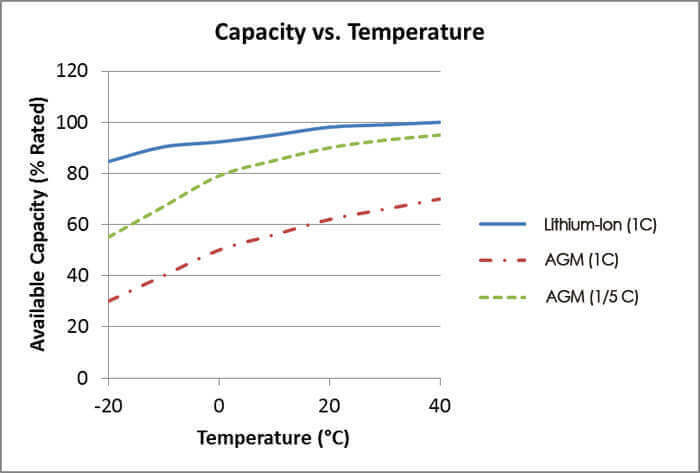 To highlight the unique characteristics in terms of weight and size of the lithium-ion batteries, let’s take concrete example : lead acid vs Lithium battery. Thunder Sky Winston LiFePO4 Battery is a high power lithium ion phosphate battery produced in China. its widely used in electric vehicles and energy storage systems. there are many people use the cells convert their electric vehicles and energy storage systems. here we provide a place for guys who have been experience with thunder sky winston battery to discuss and share your storage with it. Here we have hundreds of 400Ah Thunder Sky Winston Battery in stock on sales now. Thunder Sky Winston battery Limited from Hongkong is a leading lithium ion phosphate battery (LiFePO4) battery producer with a factory in Shenzhen.now they are building their second factory in XiaMen, Southeast of China. with investment of 350milion US$, the new factory would become one of big lifepo4 battery producer all over the world.and the full capacity would be as much as 1billion ampere hour per year. Thunder sky winston battery limited was founded by Mr Zhong Xin jia in 1,998 in shenzhen,50km north of Hongkong. 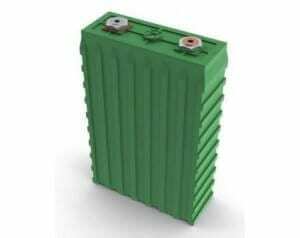 they first created the big prismatic lifepo4 battery and their battery is very popular in United States and European market because there are a lot people convert their car to electric vehicles.instead of Song and LG, Thunder sky winston produce big lithium battery cells and the capacity of each cell as much as 100Ah and 200Ah.they have 40Ah, 60Ah, 90Ah,100Ah, 160Ah, 200Ah, 300Ah, 400Ah, 700Ah and 1000Ah battery cells. its really easy to assemble the cells for a battery pack.